DVD extras include fly fishing descriptions and detailed hatch charts for featured lakes and streams along the route. 46 minutes, Color, English Subtitles. 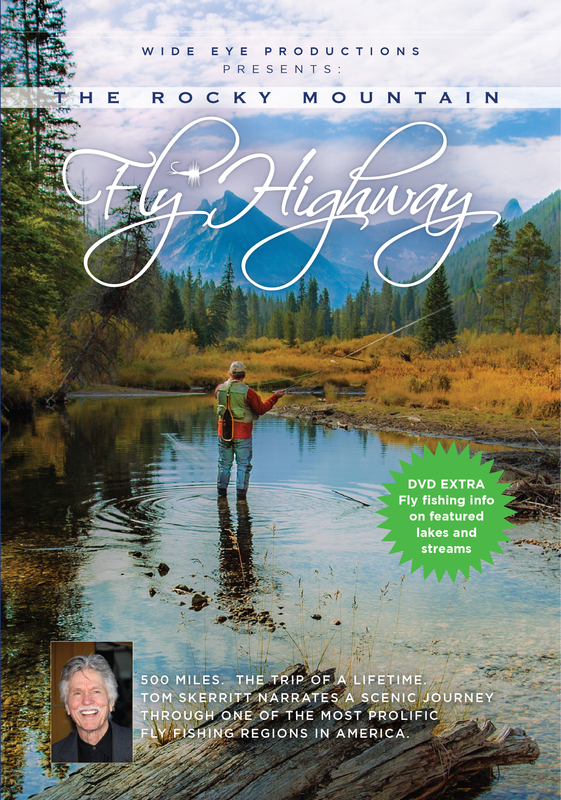 “The Rocky Mountain Fly Highway” is now available as a digital download! Enjoy instant access through Vimeo on Demand. How long is the video ? the video (without commercials on the DVD) runs 46 minutes. I just watched a broadcast of this program. I was born and raised along one section of this route, and got to see my old home turf. I’ve also fished some of these streams. The video quality was beautiful and instantly nostalgic. I plan to buy copies of the DVD for my family. Well done. Thank you! that was awesome! My cousin fly fishes and I bet when she sees this she will come. I live in Idaho and she in Calif. I grew up in Idaho most of my life. I can’t imagine living anywhere else! This movie was excellent. My only fear is everyone will see how wonderful it is, move here & spoil it! Please take care of Idaho, she’s a grand ol’ gal!